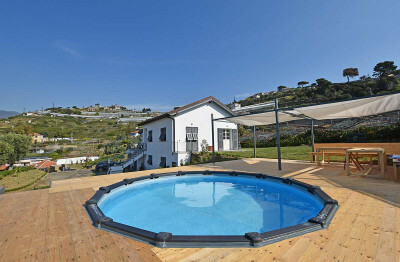 Situated in a quiet area of Ospedaletti, this Villa for Sale in West Liguria is very close to all amenities and to all beaches of Ospedaletti. This Villa for Sale is an excellent conditions and it enjoys a beautiful sea view, an elegant garden of approx 500 m2 with barbecue area. Ground Floor: entrance hall, generous and bright living room, kitchenette, double bedroom with walk-in-closet and bathroom. First Floor: living room, kitchen, 2 double bedrooms, office and 2 bathrooms. 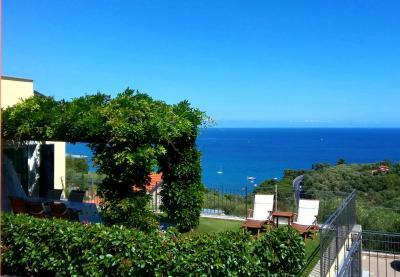 This Villa for Sale in Ospedaletti, West Liguria has a beautiful and large terrace overlooking the sea. A garage is also included.